Plantinum Park development in Kuala Lumpur is an integrated high-end residential and commercial development within the prestigious KLCC locality. 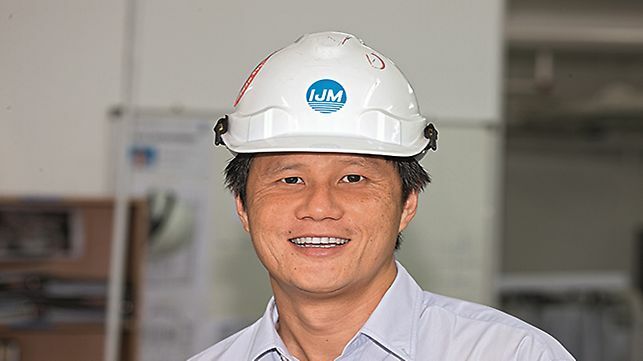 Besides being the largest integrated development, Plantinum Park aims to bring yet another arhictectural milestone to Kuala Lumpur, providing a unique balance between nature and the community. It is developed by local automotive conglomerate NAZA group. 5 large cores need to fit into the overall twisting design and climb ahead of the slabs, which occupies some 40% of each floor. extremely challenging as their floors rotate and the columns of the building slant. PERI's engineering department was able to incorporate the precast refuse chute and the concrete placing boom into the corewall designs. able to meet the tight construction schedule and ahieved the specified fast cycles per floor. Again, PERI provides a solution to solve our problem "Cores need to climb a head of the slabs". Otherwise we are unable to realise the cycle times required to be on time. 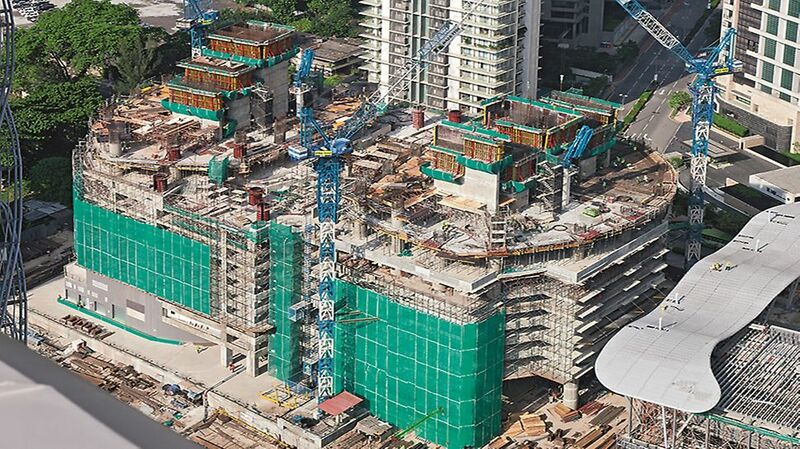 Also, PERI formwork helps us to reduce the manpower needed on site. 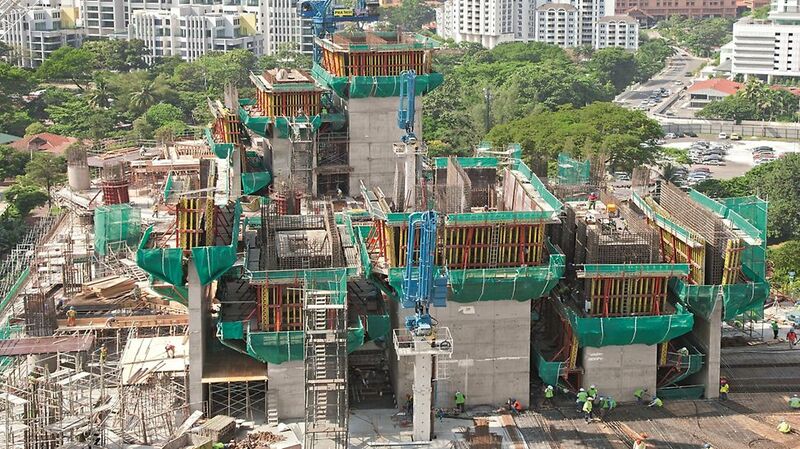 Only 16 carpenters per tower are handling the formwork provided by PERI, making this a very lean operation. 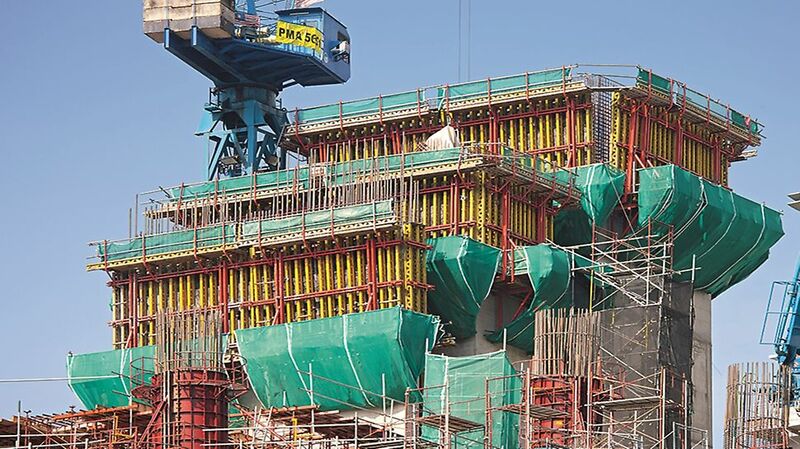 For the realisation of the unusual wall structure, PERI planned and supplied a customised formwork solution using standard rentable components from the PERI rental park.